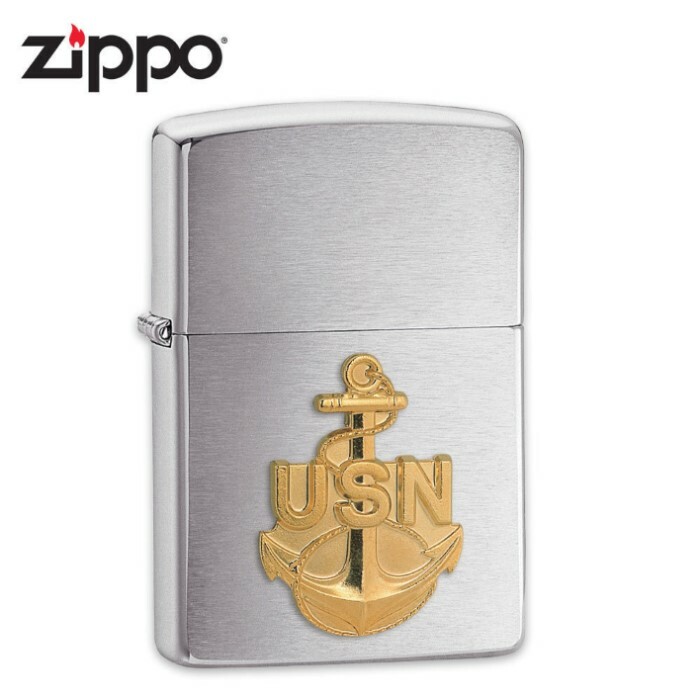 Zippo Navy Anchor Brushed Chrome Lighter | BUDK.com - Knives & Swords At The Lowest Prices! A Zippo lighter is one of the handiest accessories you'll ever own. This U.S. Navy polished chrome edition features a brilliant gold USN shield on the front of the lighter.